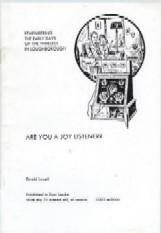 Or from their bookstall, at meetings on the third Wednesday of the month from September to April, held in the St. Mary’s Hall opposite St. Marys’ Church East Leake. Format Half A4 (vertical) 10 pages inc. insides of Front and Back Card Covers. This is a simple Guide aimed at children or young people. Outline of Church with numbers 1-22 showing where items are to be found. Notes for visitors to WORKSOP PRIORY Notts. WEST LEAKE Past and Present, Part Two- Ten Years On. More Photographs came to light after the previous book, and it is interesting to reflect on life during the past ten years. 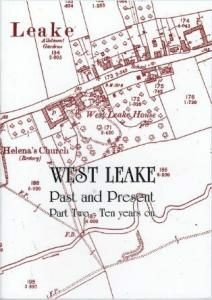 Back and Front Cover 1901 map of West Leake with inset picture of Church. Map by East Leake and District showing possible medieval sites.